How big a part of our world are sports? Stop and think for a second: do you know anyone who is a big fan of at least one sport? If you’re like me, well over half the people in your life love sports. Also if you’re like me, you can count yourself among that number as well. (I love tennis, but I enjoy many other sports as well.) The Olympic Games, just by existing in its vastness and spectacle, prove how important and vital sports can be. The great thing about having a friend or loved one who is a sports fan is that you may well have an easy way to knit gifts for that person for the rest of their lives. 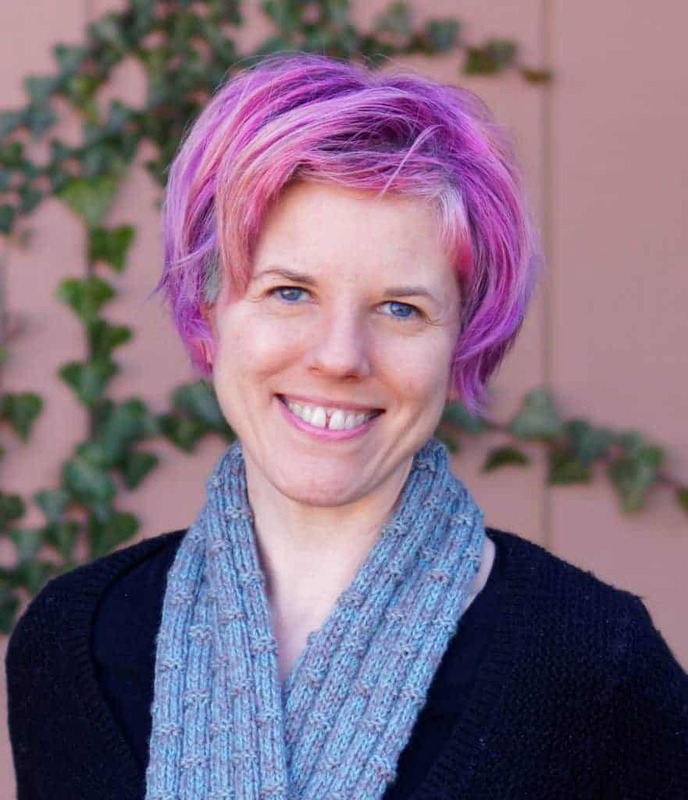 If you know that person’s favorite sports team, you can look up that team’s colors and boom — you’re virtually assured of knitting a gift they’ll love. The easiest way to incorporate those colors into a knitting project, of course, is stripes. But if you want to add some pizzazz, I’m happy to offer you this collection of knitting projects that are wonderful for sports fans. I’ll even show you the project I created to celebrate my favorite tennis player! Color Block Scarf: This is one of five different free patterns available on the Sports Fan Knitting website. It’s a classic look with alternating wide and narrower stripes. Definitely check out the other scarf patterns, the hat, and the sports pillow as well. These are all fun patterns of varying level of difficulty (the sports pillow uses Tunisian crochet!). To download any of these patterns, click “Free Downloads” and then select the pattern of your choice. Sports Team Striped Scarf: This is a very simple striped scarf with one key quirk: it’s knit on the bias, so the stripes are angled. A really sharp look! Crackerjack: This is more a concept than a pattern. The idea is simple: take your favorite team’s colors and create a scarf that reflects one complete season. The design includes a worksheet to figure out how wide to create the stripes (they’re based on wins and losses, home and away games). There’s also a sock pattern based on the same concept, and as promised, here’s a link to the hat I created based on this concept to celebrate my favorite tennis player’s best season. Sideline to Hashmarks – the Football Field Scarf: The name of this scarf says it all, really; it’s designed to resemble an American football field. This is the perfect project for a diehard football fan. Sports Team Hat: I love the classic look of this hat. One single stripe, outlined in white (or black, or whatever color you want) neatly bisects the otherwise single color. Sport Traum No. 2: Available in both French and English, this pattern creates a solid-colored hat with one stripe just above the brim and another stripe running from one side of the hat across the top to the other side. A cute bobble at the very top completes the look. This is a lovely and unique way to knit a hat in team colors. Knitted Cleveland Browns Stocking Hat: As a lifelong Cleveland Browns fan (yes, I accept condolences), I love this hat. It can, of course, be altered with different colors to be suitable for any team — American football, European football, baseball, basketball, hockey, etc. Sports Headband: For a quick and fun gift project, knit this ribbed headband in your sports fan’s favorite team colors. This is an especially great gift for a sports fan who enjoys playing sports him/herself. Baby Sports Fan Pullover: Here’s an adorable gift to knit for a new parent who’s crazy about a sports team. I guarantee new mom and/or dad will smile every time they see their little one wearing this sweater! Sports Pullover: This pattern is a little more complex, but it’s a great gift for a child who loves baseball, hockey, or football. If you enjoy fair isle, you’ll love this! Jaywalker: This is one of my all-time favorite sock knitting patterns. I love striped socks, but sometimes knitting those stripes can get a little tedious. Enter Grumperina’s brilliant pattern that creates a delightful zigzag pattern. Use the colors from a favorite sports team, and you’ll have a pair of socks that your sports fan won’t want to stop wearing. Knit Stadium Lapghan: Here’s another afghan designed to be taken to the game and huddled under for warmth. It’s not so large that it’ll be cumbersome, but it’ll be greatly appreciated by your chilly sports fan. Knit Stadium Seat Cover: Speaking of heading to the game, here’s a great way to help your sports fan get comfy on those uncomfortable bleacher seats. Sports Beer Guernsey: I saved the cutest (okay, also the funniest) for last. Beer and sports just go hand in hand. And now, your sports fan won’t get their hands cold while they’re drinking their beer, thanks to this handy (I’ll stop now) beer sweater! 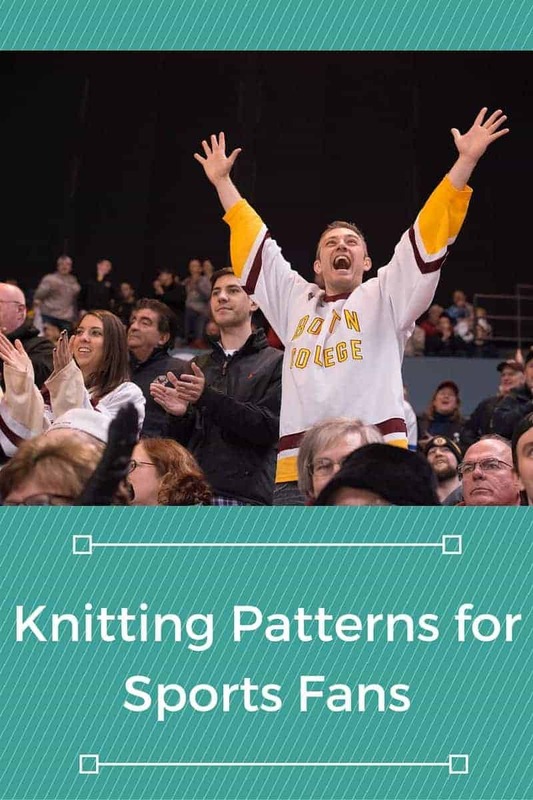 Thanks to this collection of free knitting patterns, I think you’ll never again have trouble finding a great gift idea for your favorite sports fan!